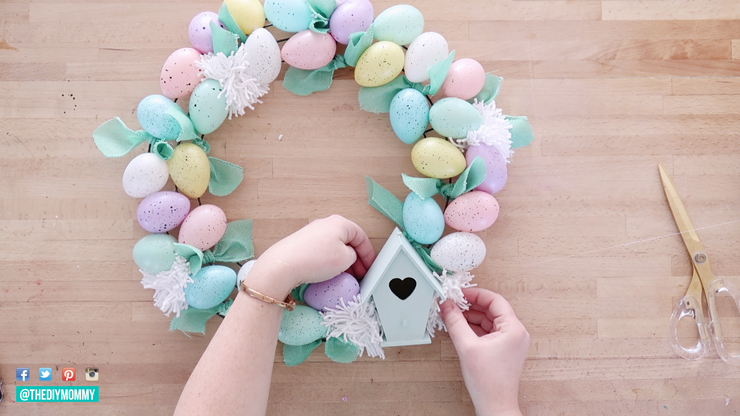 Come learn how to make a sweet Spring and Easter wreath featuring speckled eggs, ribbon, pom-poms, moss and a bird house… all from the dollar store! 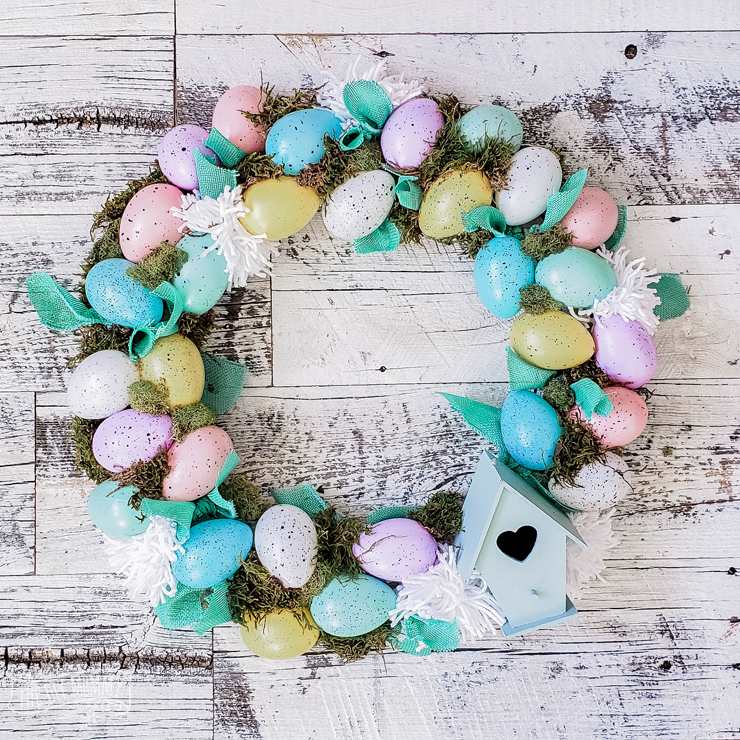 This creation is one of 26 DIY Spring wreath ideas for the Seasonal Simplicity blog hop hosted by The Happy Housie today! Make sure to check out all of the other ideas at the bottom of this blog post. 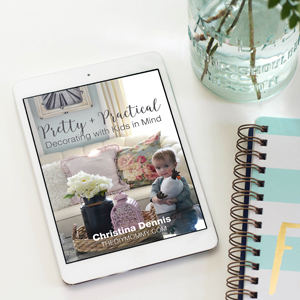 Want to make a cute wreath on a budget? 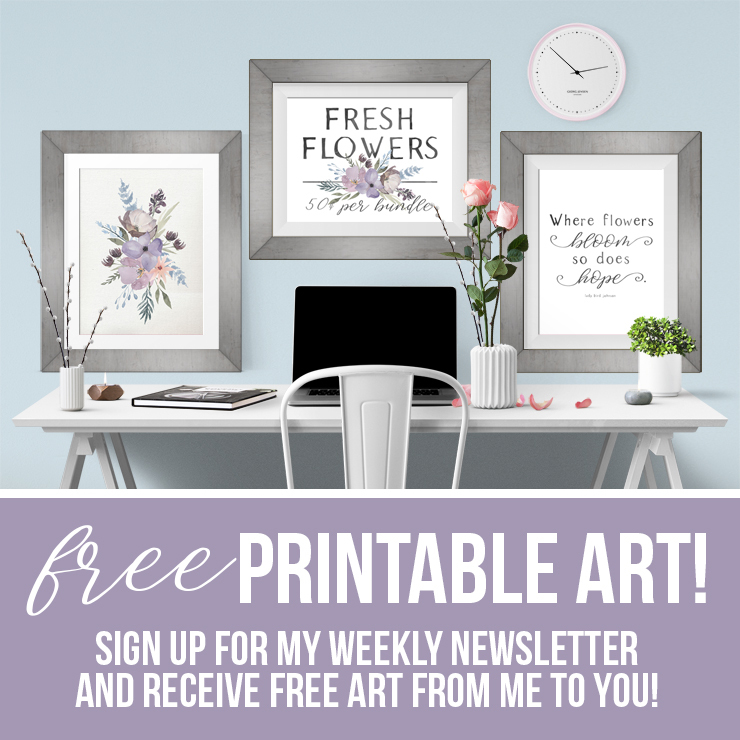 This one is perfect for you! It’s colourful and sweet, but all the supplies are from the dollar store. I love how this one turned out! 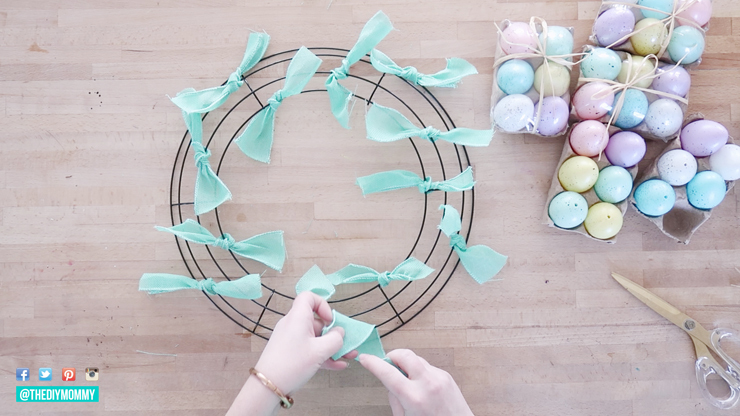 Cut the ribbon into 8″ lengths and tie the pieces on different parts of the wire wreath form at random. 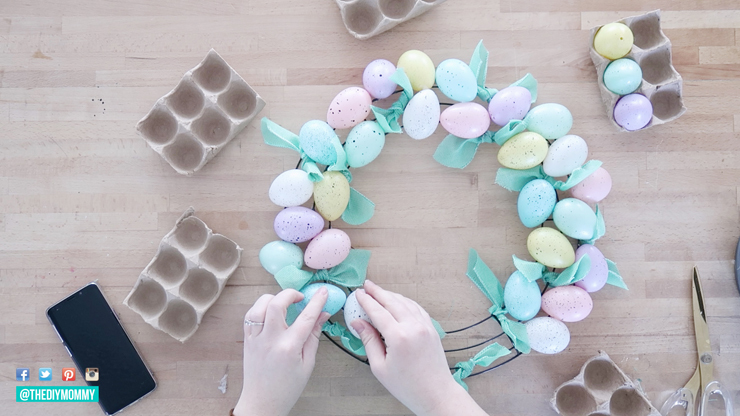 Glue the eggs on to the wreath form with a hot glue gun. 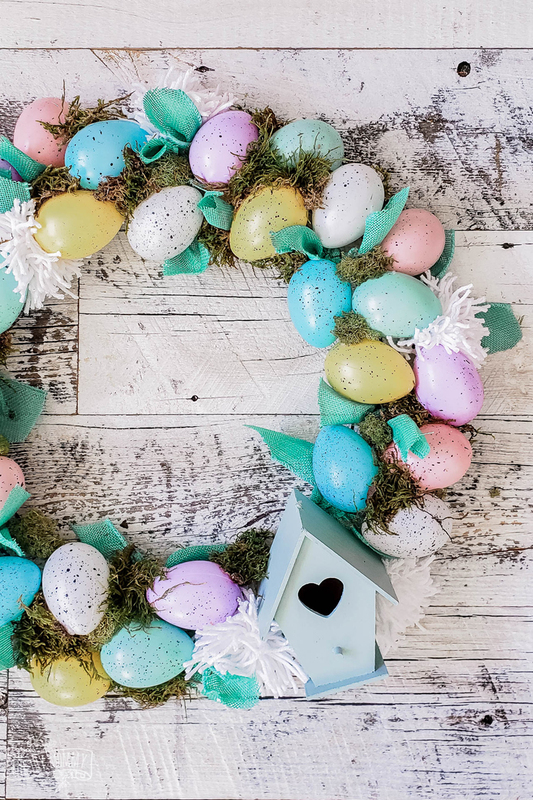 Change the directions of the eggs to give the wreath a casual look. Leave an empty space large enough to attach the wooden bird house ornament. 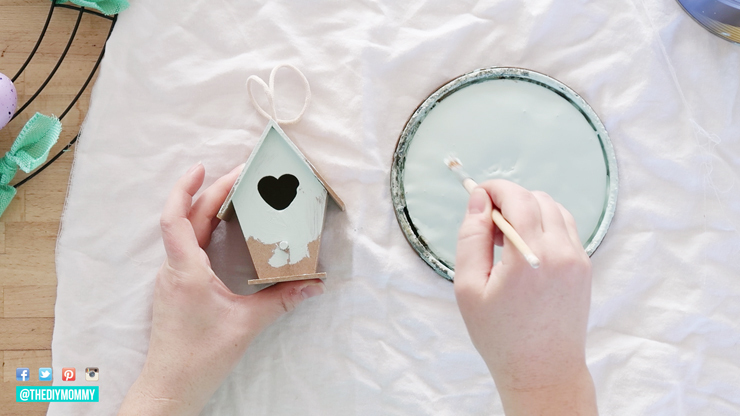 Use latex or chalk style paint to paint the wooden bird house to coordinate with your wreath. Cut off the top string and let dry. 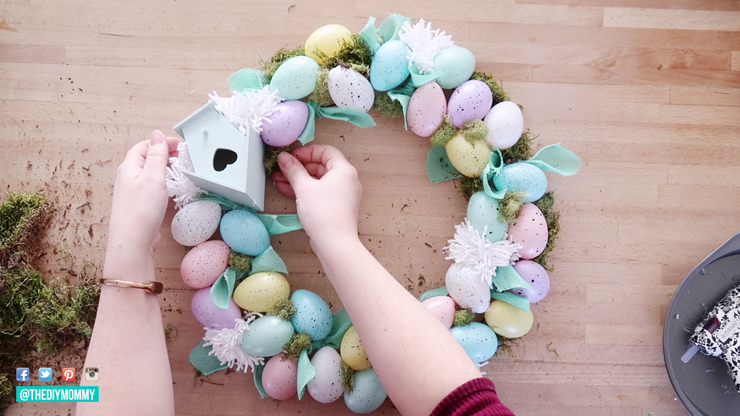 Attach the bird house to the wreath with a hot glue gun. Create 5-7 pom-poms with yarn by wrapping the yarn about 50 times around your hand, removing the yarn from your hand, and then typing a scrap piece of yarn around the center. 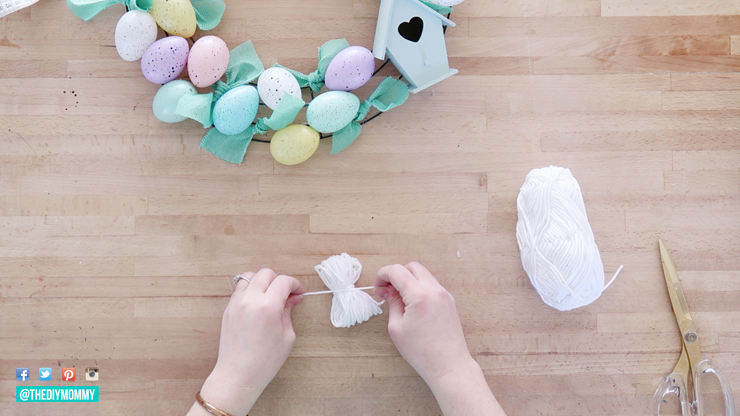 Cut both looped ends & fluff to create a pom-pom. Glue the pom-poms to any open spots on the wreath with the hot glue gun. Pull some moss apart into smaller pieces and hot glue it to any open spots on the wreath. And you’re all done! 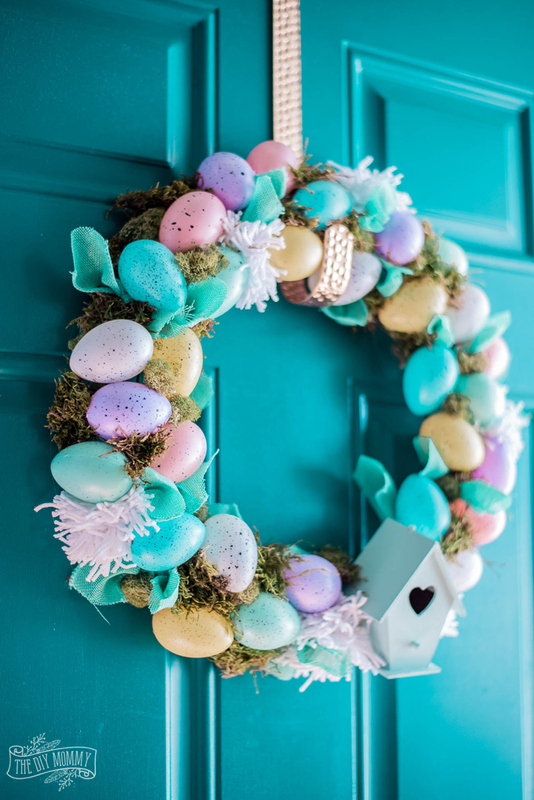 I love how whimsical and colourful this wreath was, and that it was so inexpensive to create. Oh my goodness, this is absolutely adorable Christina! So pretty Christina! It looks amazing against the colour of your front door! 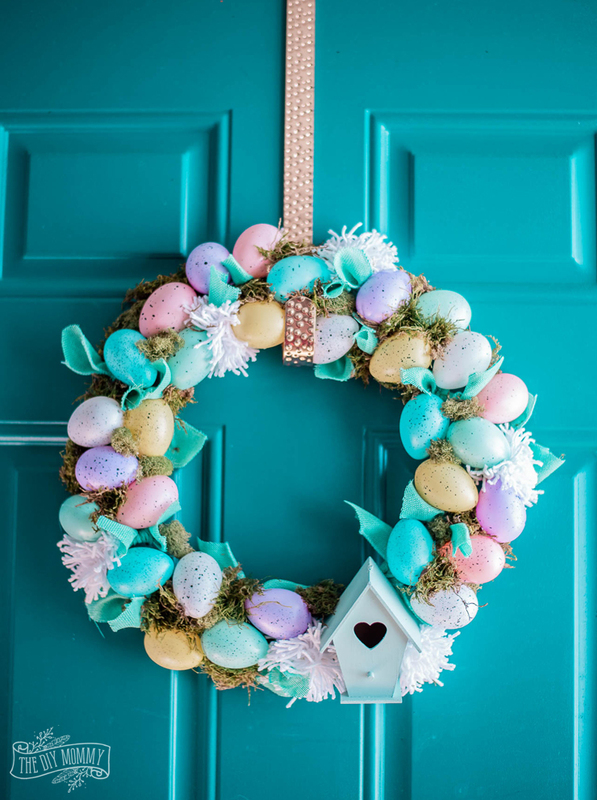 Such an adorable wreath, Christina and I love the front door colour! 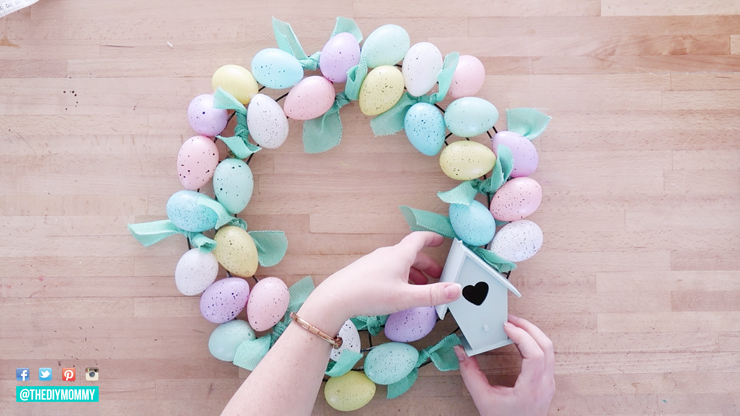 Love this cute wreath and your tutorial is perfect! I love how your spring wreath turned out. It’s perfect for Easter! 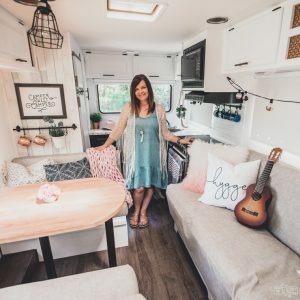 It’s so fun participating in this series with you! 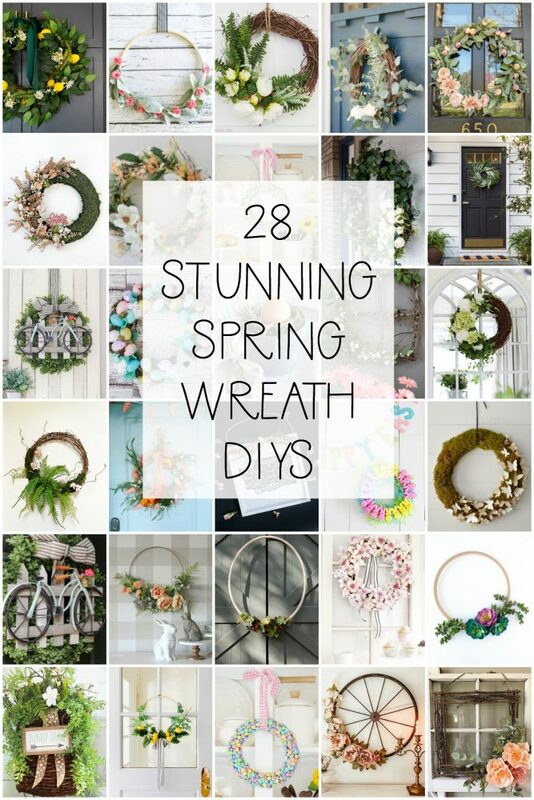 I’ve pinned your wreath to my favorite wreath board to share with others! The little birdhouse makes all the difference. I have looked at those little bird houses and wasn’t quite sure how nice they would turn out to be. Yours looks great. I love your wreath. 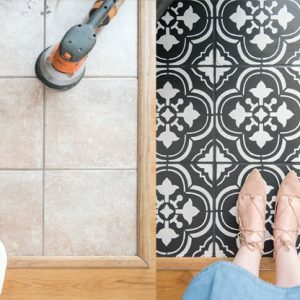 The great pictures you took really make it look like an easy project! 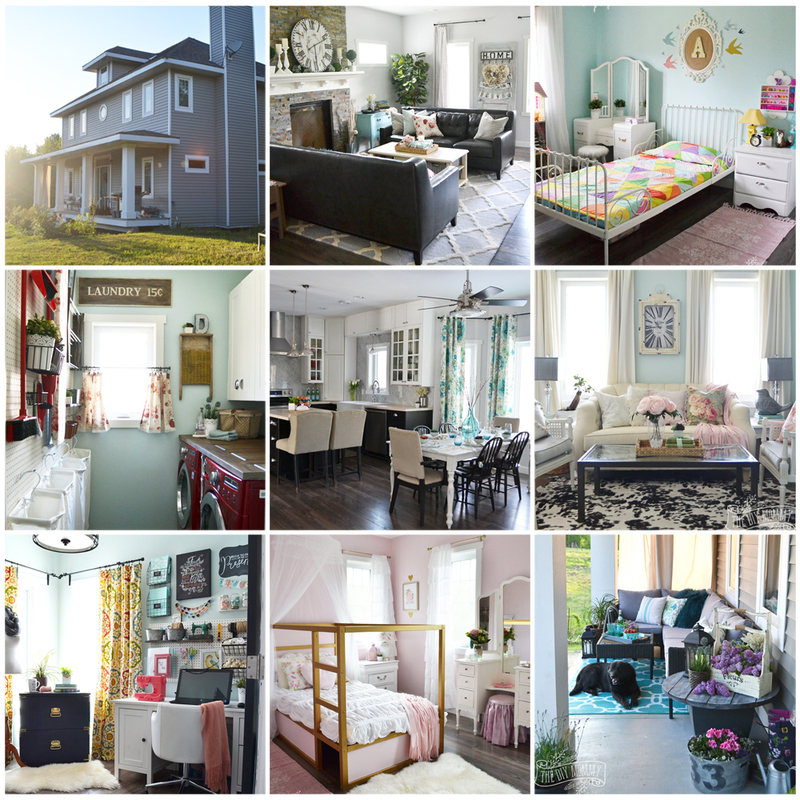 Thanks for linking up with us for Friday Favorites. I’m featuring you this week.